Douglas Greed belongs to the charismatic breed of DJs. He’s a performer, an entertainer and a party animal rolled into one – the classic Jena combination. Always working tirelessly to give the party that special spark. From summer openair sets and punchy, peak-time slammers to trippy after-hour moments, his versatile DJ skills cover every mood in a heavy weekend of partying. Fully committed to his trade, he creates a dense, pumping mix, always original and compelling, creating plenty of stand-out moments without resorting to obvious hits. 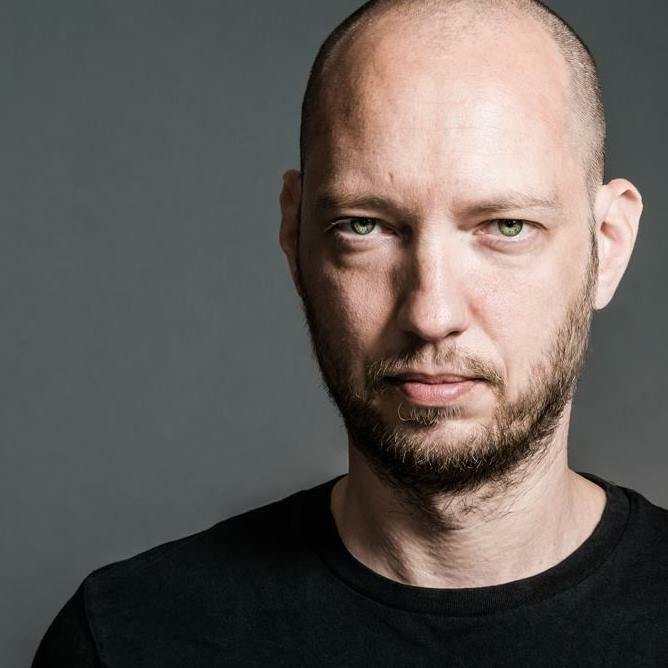 Just like his own music, which he has released under the name Douglas Greed on established labels such as Infiné, Gigolo, Kindisch, Lebensfreunde, Acker, not forgetting Freude am Tanzen, of course, and now also BPitch Control. His musical roots stretch far beyond the straight kick drum into the depths of hip hop, breakbeat and drum’n’bass, which were his main passion for several years. Not only as a listener, but also as a party organiser. He developed into a seasoned connoisseur who tackles challenges with passion, humour and fresh ideas. Further, his degree from the Bauhaus arts university in Weimar bears fruit in more than just his musical creations: radio plays, graphic design, live act, DJ, promotion – all modes of artistic expression he has wholeheartedly adopted. Douglas Greed also has a long-held fascination with the darker avenues of pop music à la Joy Division, Depeche Mode or Radiohead. All of these factors combine to form a bundle of influences that is reflected to this day in his musical output, which covers a broad stylistic range while retaining its own clear fingerprint and often bypassing the conventions of purely functional club music. Always in sync with the pulse of time, his tracks feature elements of futuristic downbeat, complex singer-songwriter house and deep soul music – as showcased on his 2011 debut album KRL (Freude am Tanzen) and his current follow-up Driven on BPitch Control, an exhibition in variety and detail. Douglas Greed has also been spreading bass-heavy vibrations for many years in his live set-up with Fabian Kuss on vocals and Michael Nagler on drums. Far from the narrow constraints of the DJ booth, these three show how improvisation and planning can be creatively combined to produce hand-crafted electronic music that can always be relied on to get the endorphins flowing. The jamming trio makes hearts flutter like speaker membranes and will soon turn an audience into a writhing dance floor.